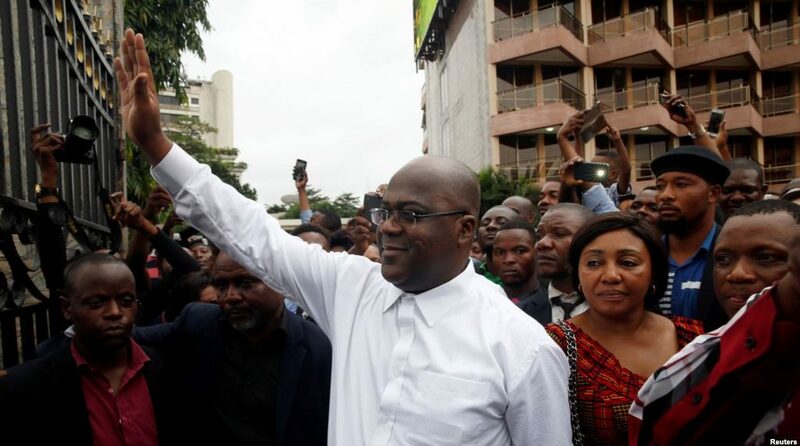 The Constitutional Court in the Democratic Republic of Congo has upheld the election of opposition candidate Felix Tshisekedi as the country’s President. Following the December 30 polls in which the country’s National Independent Electoral Commission declared Tshisekedi as the winner, fellow candidate Martin Fayulu protested the polls prompting him to go to court. The court on Saturday evening rejected Fayulu’s appeal ruling that Tshisekedi was the rightly elected president. “Felix Tshisekedi is the duly elected president for the Democratic Republic of Congo after Mayulu failed to prove the National Independent Electoral Commission had announced false results,” the court ruled. The results announced earlier had indicated that Tshisekedi had received 38.5% of the vote whereas Fayulu came second with 34.7% and ruling coalition’s Emmanuel Shadary got 23.8% of the total votes. The pronouncement by the country’s constitutional court means that Tshisekedi is now expected to be sworn in within 10 days. Earlier, the Congo government had rebuked a request by the African Union to suspend announcement of final results over what they termed as “serious doubts”. “The heads of state and attending the meeting concluded that there were serious doubts on the conformity of the provisional results, as proclaimed by the National Independent Electoral Commission, with the votes cast. Accordingly, the AU called for the suspension of the proclamation of the final results of the elections,” the AU said on Thursday. However, on Friday, government spokesperson Lambert Mende said they cannot take lectures from anyone about what to do in their own country. “I do not think anyone has the right to tell the court what to do. I am not under the impression (the AU) fully understands Congo’s judicial process,” Mende told journalists on Friday. The polls have been the first peaceful transition since independence. The outgoing president, Joseph Kabila has been in power for 18 years since the assassination of his father and then president Laurent Desire Kabila.